RIDGELY, Md., (Nov. 13, 2018) –The Benedictine School strives to help students, from throughout the Eastern Shore and the state of Maryland, reach their greatest potential and navigate life as independently as possible. 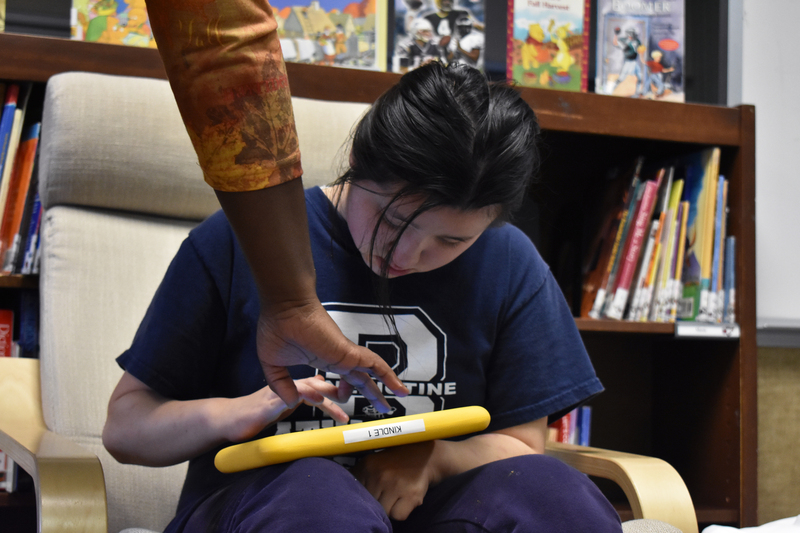 A $5,000 grant from the Maryland Department of Disabilities Technology Assistance Program, or MDTAP, is helping to give those students access to adaptive reading materials and educational technology. 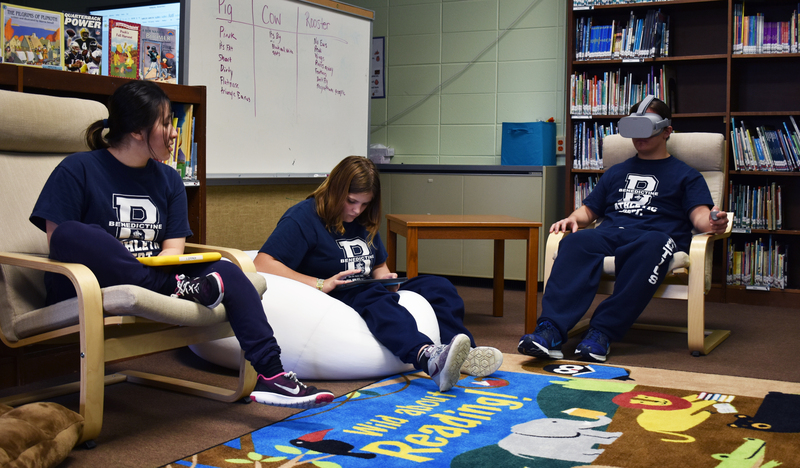 The grant funds new technology for the School’s library allowing students to independently access literature via read-aloud books. This includes Kindles, iPads and Virtual Reality (VR) Goggles, as well as other educational applications specifically designed to meet the needs of children with Autism Spectrum Disorder (ASD). Students with ASD face many challenges, specifically the ability to engage in meaningful and appropriate leisure activities. Funds awarded by MDTAP will allow close to 100 students to independently access literature and other age-appropriate activities and give individuals dignity in being able to continue communicating. Additionally, VR tech allows students to virtually explore their greater community with many apps available/ being used supporting education or travel. Nearly every major museum and city in the world can be visited virtually, and students can even take a ride on a roller coaster.